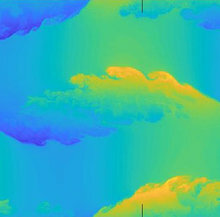 The objective of this study is to extract the signature of internal gravity waves in stratified turbulence and to characterize them and their relative importance. With the advent of very large-scale and efficient computing in the last years, it is now possible to perform simulations of stratified turbulence and to perform a 4D Fourier transform of the fields, e.g. $u(x,y,z,t)$, into the wavenumber-frequency domain, e.g. $u(k_x,k_y,k_z,\omega)$. This will allow us to verify the dispersion relation of internal gravity waves for every relevant wavevector in a direct numerical simulation (DNS) of stratified turbulence and will give us a wealth of information about the wave field. We consider the case with the classical forcing leading to Kolmogorov flow but in the presence of stable stratification, which will give rise to shear instabilities which in turn will give rise to turbulence and waves. I will present some preliminary results of two DNS runs at moderate resolution and Reynolds numbers with two values of the Richardson number, $Ri=0.1$ and $Ri=0.2$. In these DNS runs the flow becomes unstable with the generation of 3D turbulence and we reach a statistically stationary state, which, however, is not highly turbulent and in which the buoyancy Reynolds number is of order one showing the dominance of viscosity. To simulate the strongly stratified turbulence regime we will have to move to high resolutions, which is the plan for the DNS to come.